ATR which menas Avions de Transport Régional or Aerei da Trasporto Regionale is a French-Italian aircraft manufacturer. It was created in 1981 by Aérospatiale of France (now EADS) and Aeritalia (now Alenia Aeronautica) of Italy. 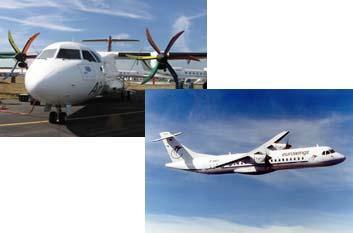 The ATR 42 and ATR 72 aircraft are its main products.